It was a gorgeous day for the Hudson Valley Garlic Festival in Saugerties, New York. I must have purchased 15 pounds of garlic and tasted at a pound of raw garlic. I think I'd better stay in tonight. Look forward to planting after I get back from Moldova. In a large mixing bowl, combine the ground meats, chopped yellow onion, chopped garlic, green onions, egg, bread crumbs, Worcestershire, 1 teaspoon of the salt and 1/2 teaspoon of the cayenne. 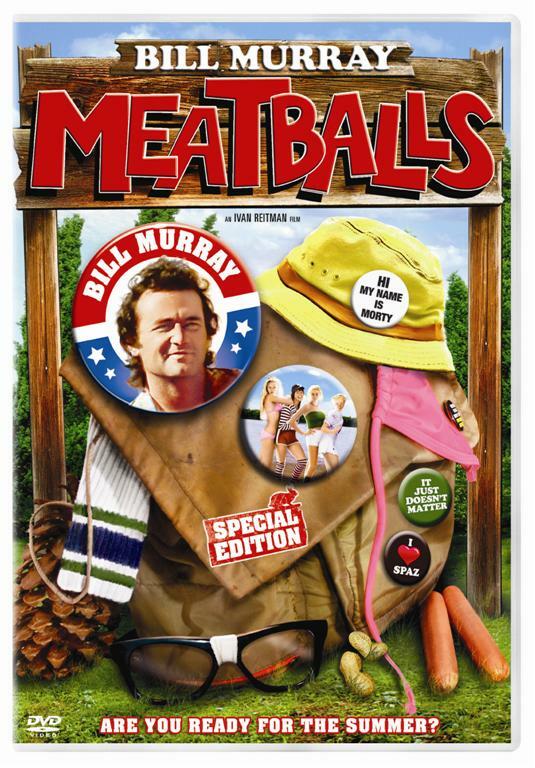 Mix well with your hands and form into 16 meatballs. Insert a garlic clove in the center of each meatball and pinch the meat around it. Combine the flour and Creole seasoning in a shallow plate. Roll the meatballs evenly in the flour mixture, tapping off any excess. Reserve any remaining flour. In a large skillet, heat the oil over medium heat. Add the meatballs and brown evenly, using a spoon to turn them. Remove the meatballs from the pan and set aside. With a wooden spoon, scrape the bottom of the pan to loosen any brown bits. Stir in the reserved seasoned flour. Stir constantly for 3 to 4 minutes to make a dark brown roux. Add the sliced onions and season with the remaining 1/2 teaspoon salt and 1/4 teaspoon cayenne. Cook, stirring constantly, until the onions are slightly soft, about 2 minutes. Slowly pour in the beer and water and mix well. Bring to a boil and return the meatballs to the skillet. Reduce the heat to medium-low and simmer, uncovered, for about 1 hour, until the gravy is thick, turning and basting the meatballs with the pan gravy about every 15 minutes. Remove from the heat and skim off any fat that has risen to the surface. Serve with toothpicks or on a hoagie roll for a memorable meatball sandwich. 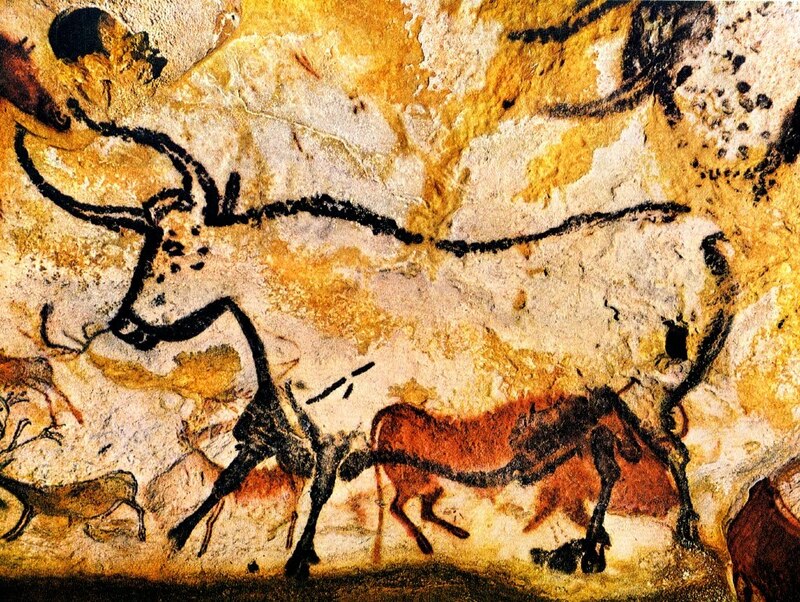 The cave paintings in Lascaux, believed to be over 17,000 years old, were discovered in a tiny village in the Dordogne region of France 70 years ago today. For a celebratory side dish, try Pommes de Terre Sarladaise, from nearby Sarlat, one of the most beautiful medieval towns in France. This recipe was adapted by Julia Watson for the late, great Gourmet magazine. Potatoes fried in duck fat with garlic ... what could be easier or better? Peel potatoes, then cut into 1/4-inch-thick slices with slicer. Rinse in 2 or 3 changes of cold water until water runs clear. Drain and pat very dry. Heat fat in a 12-inch nonstick skillet over medium heat until melted. Cook potatoes with 3/4 teaspoon salt, turning gently, until coated with fat. Reduce heat to medium-low and cook, turning occasionally, until golden in spots and potatoes are tender, about 20 to 25 minutes. Meanwhile, finely chop parsley and garlic together. Gently stir parsley mixture into cooked potatoes. That's the name of a documentary filmed by Les Blank in 1980. Herzog claimed he would eat his shoe if Erroll Morris ever finished Gates of Heaven. Alice Waters helped cook the shoe, boiling it in stock with garlic and herbs for five hours at Chez Panisse. 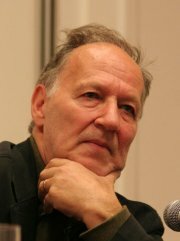 Werner Herzog turns 68 today. While I don't have the recipe for boiled shoe, here's Les Blank’s favorite garlic recipe, Dottie’s Spinach. This gloriously decadent recipe was published in Ruth Reichl’s memoir, Comfort Me with Apples. Wash the spinach well and drain it in a colander. Put half of the spinach, with water clinging to its leaves, in a heavy 6- to 8- quart pot and cook over moderate heat, covered, stirring occasionally, until slightly wilted, about 1 minute. Add the remaining spinach and continue to cook over moderate heat, covered, stirring occasionally, until wilted but still bright green, about 1 minute more. Drain the spinach in a colander. When the spinach is cool enough to handle, squeeze it dry in small handfuls and chop finely. Uzbekistan declared independence from the former Soviet Union on September 1, 1991. 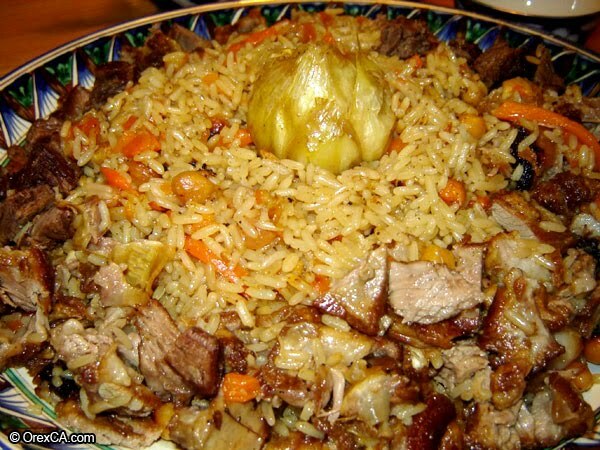 Celebrate with this adaptation of Plov, Uzbekistan’s national dish. This recipe is from Crainny in Atlanta, Georgia whose half Uzbek, half-Russian friend gave it her. I can’t vouch for it but Svetlana, a native of Ukbekistan, loved it. Cut up the lamb into 1 to 1-1/2 inch cubes. If you have fatty lamb pieces use those for melting out the fat, if not, use vegetable oil instead. Spread the rice evenly, over the meat, onions and carrots; don't stir. Make a hole in the rice with a handle of a wooden spoon, and pour the water through that hole slowly, taking care not to disturb the bottom ingredients. Water should cover the rice by not more than 1/2 inch. Better under-water it than over-water. Reserve the remaining water, if you have any. Leave the heat at medium and cover the pot tightly and let rice steam through for about 15 minutes without opening the pot. After 15 minutes toss in the remaining spices and salt. Cover again and keep steaming. Cut the top off the garlic head, slightly exposing the garlic cloves. Stick the garlic head (exposed side down) into the middle of the steaming plov, about 3/4 way and cover again. Steam for another 10 minutes or so. Check plov once in a while for doneness - the top grains should be slightly firm, and the bottom ones - well done, but not mushy. All water should evaporate, but not burn. If you feel your plov is not done yet, but water is gone, make holes in the plov with the handle of the wooden spoon - all the way through to the bottom, and pour remaining salty water into those holes. 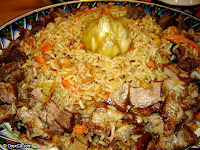 Don't abuse this technique, because it's very easy to overcook the plov this way. Use very little water at a time. Remove from heat and stir with wooden spoon, bringing the bottom ingredients up to the surface. Rice should be slightly sticky, but all grains should easily separate and not be easily mashed with a spoon. Meat should be tender and juicy, and vegetables should be all very tender.